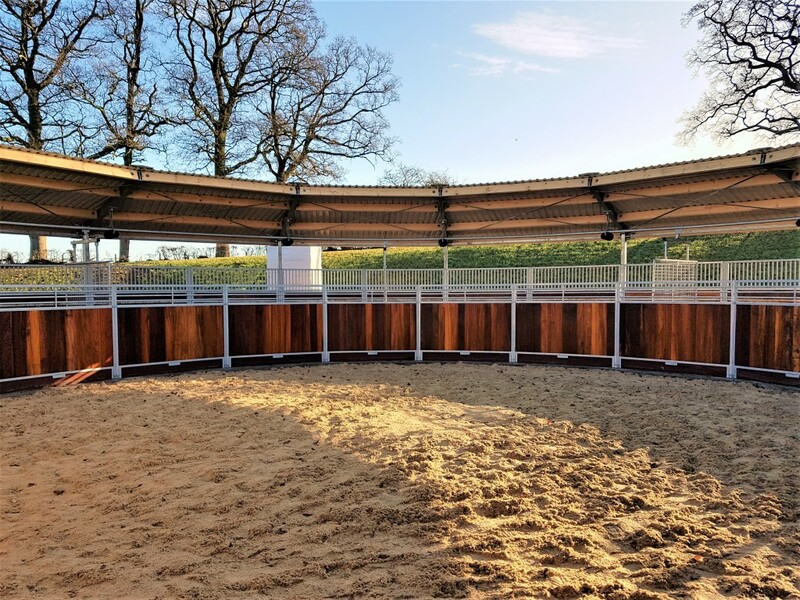 Our lunging ring is situated at the centre of our 8 horse Rower & Rüb horse walker and is completely enclosed making it an ideal place for exercising youngsters or horses that we are breaking in. It boasts a Martin Collins all-weather surface and provides the perfect environment for when you just need to do that bit more than using the horse walker alone. The lunging ring can also usefully double up as a short term loose pen for those on restricted turn out.